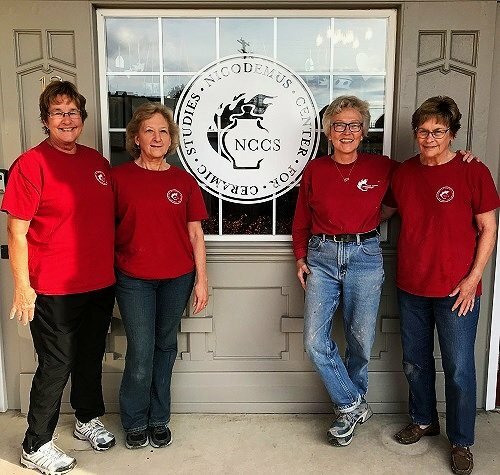 Today the NCCS center operates two pottery studios: one on the Penn State Mont Alto Campus and the other at 13 South Church Street, Waynesboro with more than 30 active guild members. It offers a range of pottery classes and workshops for adults and children. The downtown location includes a Guild Store supporting the guild members and the NCCS's efforts. Both studios offer a full-range of equipment, including: electric-firing kilns, glazes and underglazes, and a broad variety of clay types. Both studios host pottery classes and workshops, including introductory and advanced classes, a monthly Children's Class, and monthly 2-hour "Corks & Clay" and "Clay Day" Workshops, which specialize in creating hand-built projects. In 1999, Penn State Mont Alto invited the Nicodemus Center of Ceramic Studies to establish a ceramics arts center on its Mont Alto campus and to develop an active pottery studio program to serve the college community and the general public. The center began offering pottery classes in 2003 and established the Mont Alto Pottery Guild that same year. The Penn State-Mont Alto studio is open during the University's normal hours of operation.